Read our 2013 posts right here! 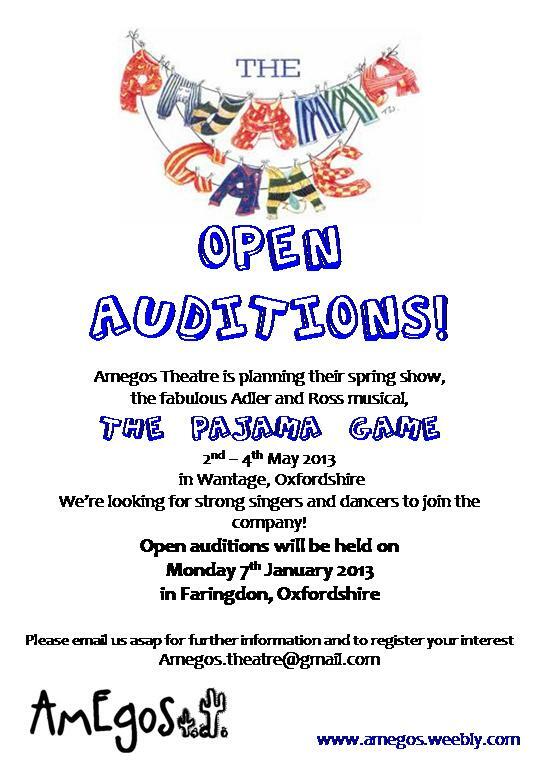 A busy day for us AmEgos .. our last rehearsal for The Producers before Christmas .. many mince pies to eat between songs! And then straight off to King Alfred's Head for our Pub Quiz .. top night had by all. Merry Xmas .... here's to a fabulous 2014! Wow! That's another show done. The set is down, the weapons have been returned to their rightful owners, and I am incredibly proud of another fantastic production. This was a first for me with AmEgos - I wasn't in it! - so I had the delight of standing on the balcony of Shush! 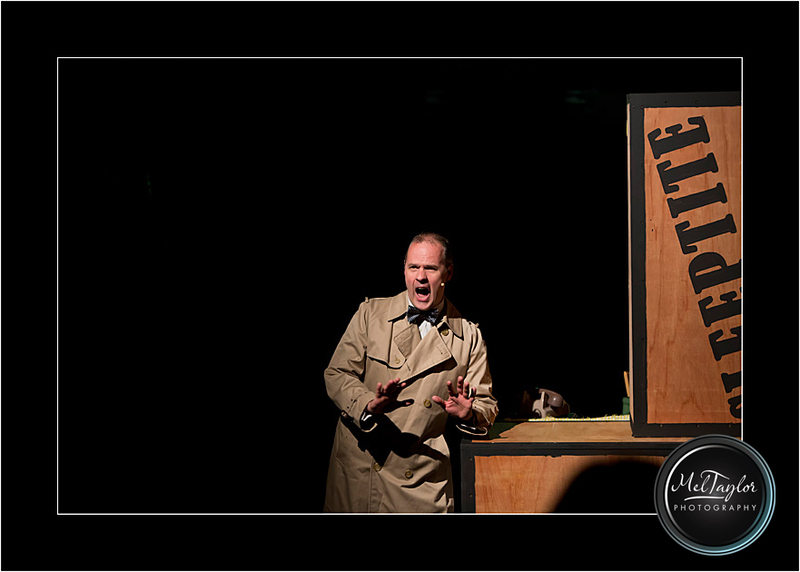 watching the audience reaction as Clifford made his unexpected and dramatic entrance - PRICELESS! Thanks for coming! Hold the date!! AmEgos is holding a Christmas Quiz on Sunday 15th December! Grace is definitely Quizzy Rascal! It's show week for the Deathtrap company and the fabulous Mel Taylor has taken some great shots ..
Just 2 weeks until our Open Rehearsal for The Producers ... make a date, Sunday 13th October, 2pm Childrey Village Hall. Heil You-know-who! Following a great audition afternoon, we have now cast all the 6 leading characters for The Producers! Next up, an open rehearsal, so that anyone interested in being in the company can come along and meet us and find out about the show - date to follow! So ...it's nearly here. 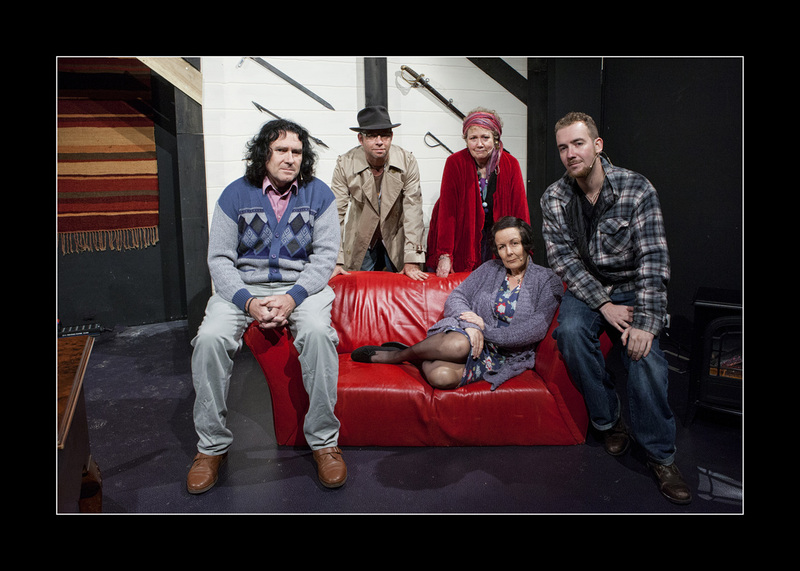 The Producers talk-in is tomorrow at 2pm, at Childrey Village Hall. Hoping for a good turn out as we have some cracking parts to cast! So pleased to announce dates for The Producers Talk-In ....Sunday 8th September and Auditions ....Sunday 15th September. At last ..... pleased and more than a little excited to announce that our next two shows will be Ira Levin's DEATHTRAP in November and Mel Brooks' THE PRODUCERS in May 2014 ... keep tuned for more info! 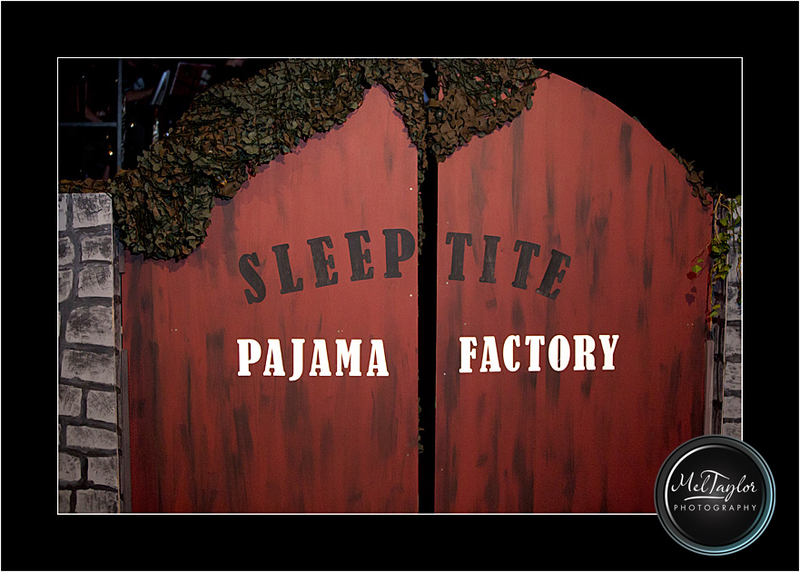 A whole week has passed since we closed the gates of the Sleep Tite Pajama Factory .... and already we have a play in mind for November and are requesting rights for a mahoooosive musical in May 2014! We are one of the Community Matters good causes in Wantage Waitrose ALL THIS MONTH! Please, when you are shopping in Waitrose remember to drop your green token into our pot! 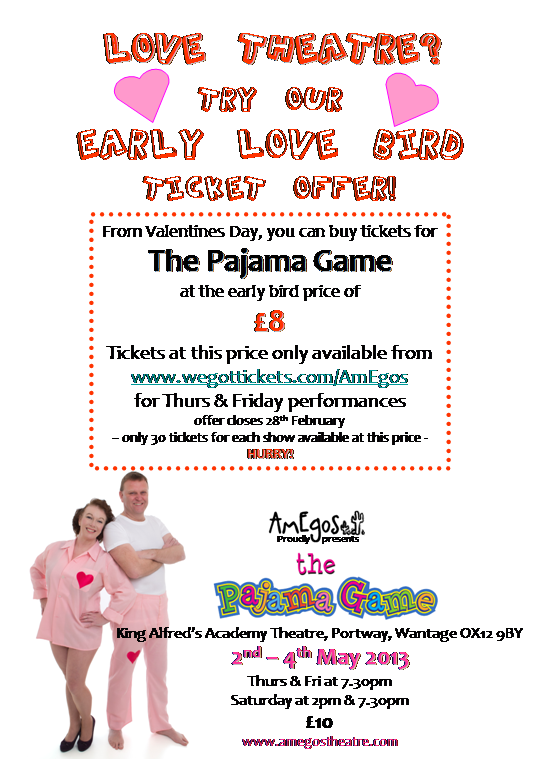 Thursday 2nd May - Opening night! Blimey ... it's show week!! Hope you've got your tickets. Another little mention in the local paper ..
We don't just learn our lines, rehearse, act and perform you know, oh no! Sometimes we have a night off and plan other activities! 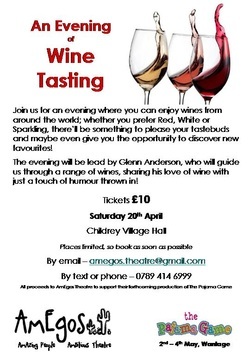 Come and join us for an evening of Wine Tasting at Childrey Village Hall, Saturday 20th April. What's that you say? 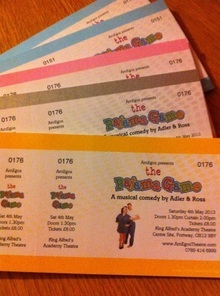 You'd like to buy tickets for the show ...... well, get in touch! Who said rehearsals were routine ... see what we got up to with our special Pajamaharlem Shake! Cast headshot photo shoot with the fabulous Mel Taylor - wait til you see the programme! Thanks to Mel, we all scrub up pretty well! So we're into our 4th week of rehearsals .. will post photos soon! Just had a great meeting with set designer Rob and Theatre Manager John ..... wow, this is going to be great! Happy New Year to you all! Audition pieces have been mailed out - email us if you want to attend!